The dress code calls for “formal business attire” from both sexes (and members of the media, interns and other staff), but the women’s guidelines are far more detailed than the men’s. While men are encouraged to wear suits, dress pants and shirts, formal shoes, a tie and a jacket, women are asked to “be sensitive to skirt lengths and necklines.” They are also given a wider list of inappropriate footwear including flip flops, open-toe sandals and tennis shoes. Leggings are also included as inappropriate attire, which makes us wonder if anyone was slipping on their Lululemons before a long day of filibustering. Clothing made from fleece and jersey material is also listed as a no-no. 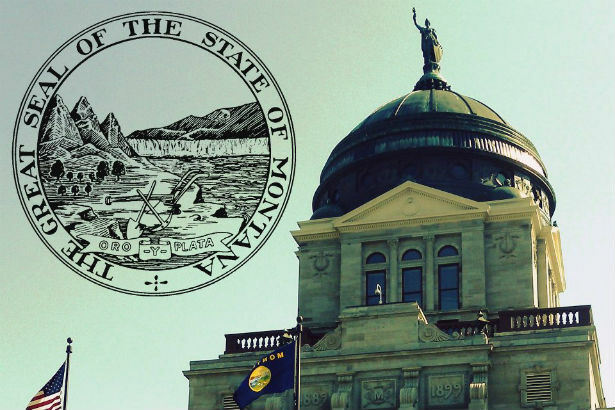 The House Senate and leadership is tasked with enforcing the code, because apparently lawmakers in Montana have time to worry about women’s necklines and hemlines, instead of passing actual laws. Montana right-wing site Cowgirl Blog notes that these new rules were borrowed from Wyoming’s list of guidelines and made stricter for the folks in Montana. The new guidelines have been ridiculed by opponents, including this guy who wrote a song about the ridiculous rules wearing nary but a guitar and a cowboy hat (clearly NOT approved formal business attire). But while it’s fine to have a professional dress code, it is quite clear that they’re putting unnecessary pressure on women with this one. “Business attire” would have sufficed, but policing the specifics seems to be a little much, especially for grown women who have more important things to do than worry if their blouses are buttoned up far enough.